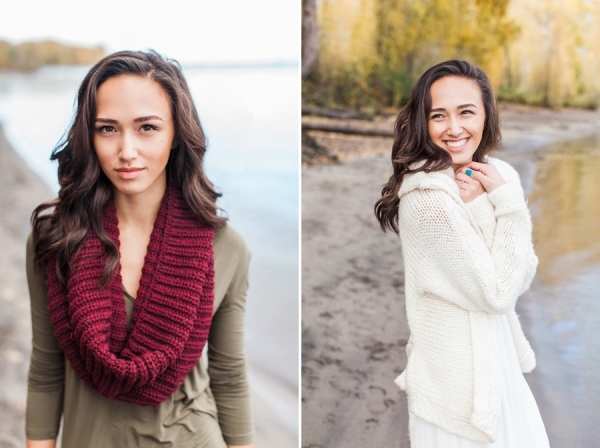 There’s something warm about doing your high school senior pictures during the fall season in Portland, Oregon. Sure, it’s super cold and there’s the constant threat of rain every day. Every. Single. Day. Ugh!! But, if you take risks despite the weather forecast and choose to make the best of what will be, then Mother Nature may just surprise you with a little bit of sunshine when she’s ready. We were almost done with Maddy’s high school senior portrait session then it started to rain towards the end. Instead of being sad, we decided to just smile through it! Indonesian Wedding Photography Featured on BRIDES.com! BRIDES.com’s “45 Fascinating Wedding Traditions from Around the World” and we are number 20; hey, being the middleman isn’t bad. When they initially contacted me to feature this Indonesian Wedding Photography on their website, I was a little surprised because I went to Bali to photograph this wedding… five years ago this month. However, I still continue to get inquiries about it and I do not mind it at all! As a matter-of-fact, I am open to accepting destination wedding assignments again. Again? Yes. Wedding was something that I decided to part from in 2014, but, to be honest, I never fully “retired” from it because I still had a few weddings to honor and, also, I was assisting another Portland wedding photography company. Maybe this is a sign?? (I do not charge for my travels for a few reasons; send me an inquiry about your wedding plans and I’ll explain why!) //To inquire about my Destination Wedding Packages & Pricing, please complete the Contact form or call 503-308-8228. Follow me on Instagram where I post often. The word boudoir (bo͞o-dwär) from Boudoir Photography does derive from the French definition: a woman’s bedroom or private room; however, I believe that it shouldn’t be limited to only indoor. Women on the beach flock the shore in their best and expensive swimsuits that show just as much skin — if not more — than a Victoria’s Secret lingerie. As a boudoir photographer, it’s really interesting to see how my clients appear more comfortable in a swimsuit than lingerie when they are no more or less than the other. //To inquire about my Boudoir Packages & Pricing, please complete the Contact form or call 503-308-8228 (PST). Follow me on Instagram where I post daily. Hey, Dads! Need Some Mother’s Day Picture Ideas?